Make Kairali-The Ayurvedic Healing Village the winner of the World Luxury Spa Award, 2019 with your valuable love and support. It would be great if you all could shower your blessings by voting for us to make us one of the best Luxury Ayurveda Spas in the health and wellness fraternity. We are a Luxury Spa Award nominee and hope you continue to be with us for the upcoming years so that we can make the world a healthier and wealthier place to live in. Aarogyalay, as the name suggests is a forum that means ‘aarogya’ in ‘vidyalays’ which connotes to wellness in schools. It is that organization that seeks to create awareness among the school children about how to deal with stress and anxiety and concentrate on their aspirations and goals. What it is concerned about? Stress is the buzzword at this moment. 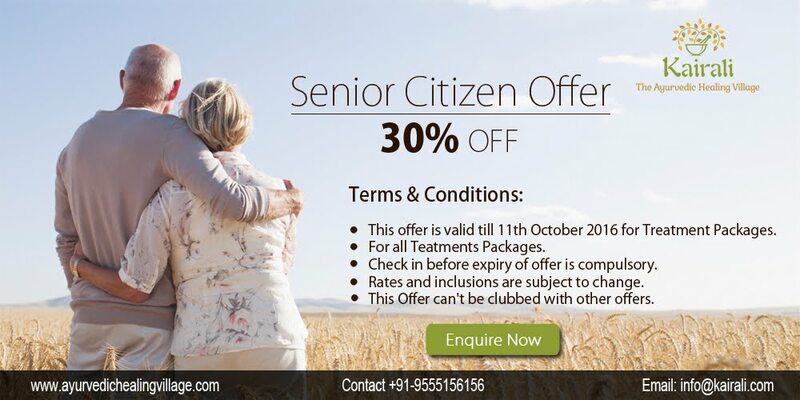 It is something that does not require any age group to target and has extreme level consequences. The sole motive of Aarogyalay is to catch the children at a young stage so that an awareness can be created and stress could be managed and controlled easily. This organization at its first founder’s day, organized a meet regarding the Role of Ayurveda inStress Management on the 25th of January, 2018 at India International Centre, Max Fuller Marg, New Delhi. Its founder, Mr. Rajeev Narang shared how a year from 2017 had passed by with a sense of pride and challenges as well. 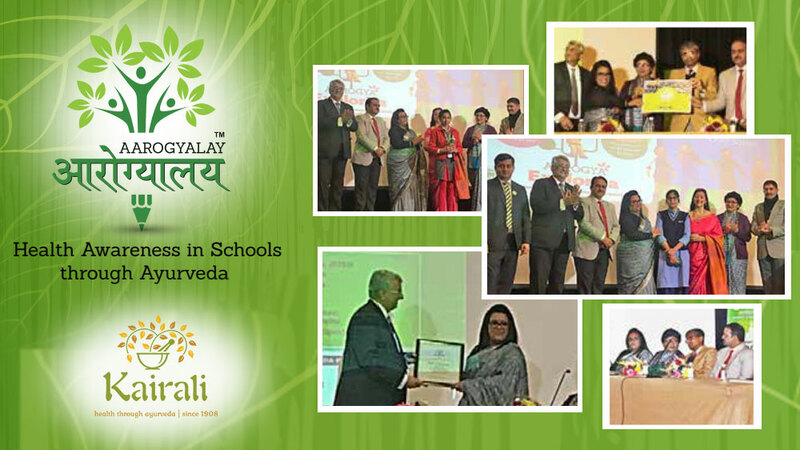 Aarogyalay had organized workshops in more than 100 schools and had involved more than 250 Ayurveda practitioners in their cause. Many schools participated in the talk organized by Aarogyalay where the principals of certain schools shared the present scenario of children as to how they deal with stress in their daily lives. This is a serious issue that needs to be taken care of and that is the reason why Aarogyalay came up to find solutions to this issue that is of utmost importance. Today’s children are tomorrow’s future. And if these children are left behind due to our misconception and effort, nothing can be a bigger loss than this. There are various issues with which children deal and their stress levels increases to a considerable level. Situations like stress from completing the home-work, stress to score higher marks in class, living up to parents’ expectations, stress that the internet produces coupled with peer pressure etc. add up the list. All these conditions leads to different health problems like obesity, depression and aggression. This is the sole cause for unwanted extreme level criminal cases in schools. Now to counter such cases, Aarogyalay has come up with various innovative techniques that helps to divert the mind from excess pressure and free their mind to do something productive. But the scenario has changed after Aarogyalay’s visit to schools. Their innovative techniques through fun and games makes the children interested in their talks and awareness programs. Kairali Ayurvedic Group is one of the sponsors that supports this noble cause. As a representative Dr. Ruchi Vyas, Operations Manager and Physician at KairaliAyurvedic Center, New Delhi, attended the talk and shared how Kairali can contribute to manage and counter the forces of stress among children. This is a fact shared by Dr. Ruchi that we cannot get rid of stress completely but we can definitely fight stress and control it with the help of Ayurvedic therapies and treatments. Lifestyle changes too makes a vast difference in managing stress. Dr. Piyush Juneja, Business Head, Aarogyalay, has stated that the increasing digitalization of the world has led to severe losses along with the advantages. This is also a major reason for stress among children. The opening up of many global platforms for proving their talents and also the increasing demand of different gadgets are an added point for increasing the stress level. All these not only lead to stress but also results in behavioral change. Kids not only stay limited to quarrelling or small fights but ends up to crimes like murder. It is high time that these needs to be cut down in the grass root level itself. Aarogyalay launched ‘Aarogyavity Book’ which comprises of activities like puzzles, games and fun for children in the age group of 8-12 years so that they can get engaged to Ayurveda and learn in a playful manner. It is very essential to curb some of these issues which tends to get more dangerous with time. Kairali Ayurvedic Group, one of its sponsors is the best organization in this regard as it is one of the ancient Ayurvedic Company in India. Understanding the complexities of the present world, Dr. Ruchi Vyas shared her experience of how stress can be managed with the help of Ayurveda. This health awareness program found various ways through which children can get rid of stress. Kairali offers various stress management Ayurvedic therapies which helps to carry on the lives in a smooth and healthy manner. Stress is the reason for all health issues. So Aarogyalay in parity with other organizations namely, Kairali Ayurvedic Group, NASYA, Dabur, EkoYoghurt Starter Cultures, BonTon Opticians, Aipl Abro and Sirca Paints India, have come to help vanish the stress away and giving a start to this initiative from the school level itself. What Has Ayurveda to Gift You? Health is all what Ayurveda prioritises. 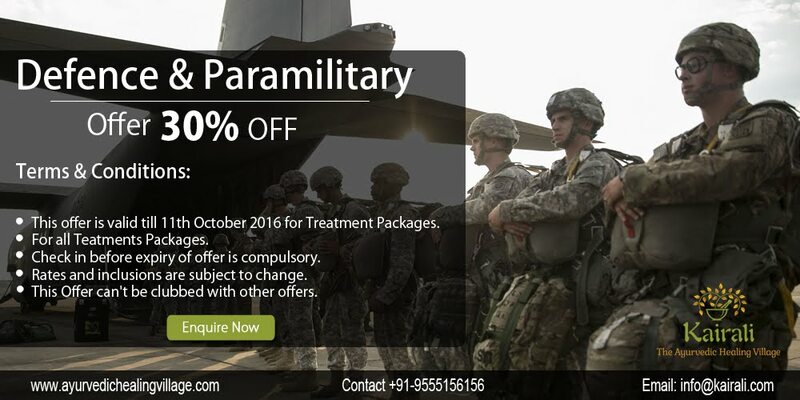 Promoting this health through rejuvenating and detoxifying therapies and Ayurvedic treatments gives you a chance to revamp yourself. Experience this healthy bonanza from Kairali at its award winning health retreat at Palakkad, Kerala and heal yourself with its hospitality services. Kairali-The Ayurvedic Healing Village, with its modern amenities in the villas, has taken care of the accommodation facilities and instilled a plethora of holistic healing techniques in the most authentic way. 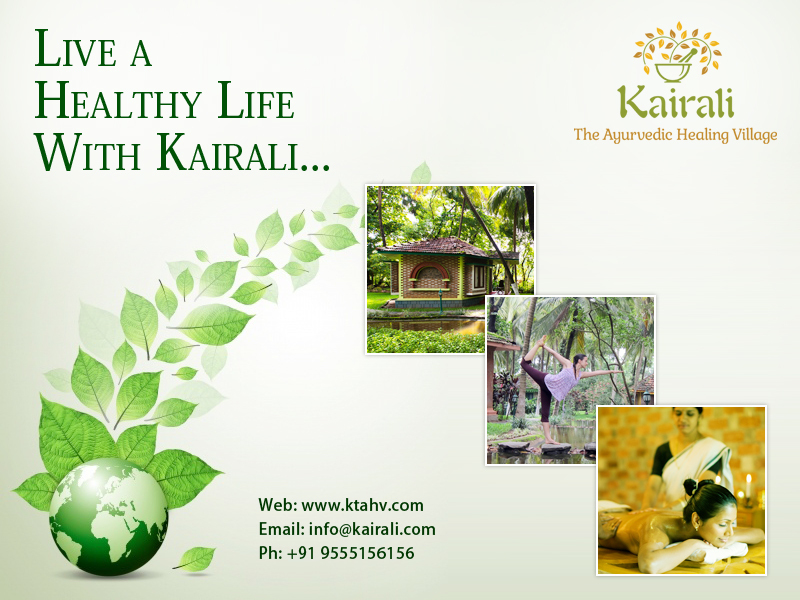 Kairali-The Ayurvedic Healing Village, situated amidst the beautiful jungles of Palakkad, Kerala, is a secret haven to recuperate and transform the lives into someone healthier and better. The authentic Ayurvedic Therapies and treatments helps everyone out there to overcome the different health concerns and lead a life inspired by Ayurveda. Kairali offers for various treatment packages and its Rejuvenation andDetoxification package helps guests to release the toxins from the body which is considered to be the sole cause for different health issues. It is a 7/14/21/28 days program that helps in protecting the mind, body and soul from being inactive. This package includes therapies that uses medicated herbal oils, steam therapy and herbal oil massage that would primarily focus on revitalizing the senses, giving the soul a new spark and restoring the balance of the mind, body and soul. ‘Ama’, the Ayurvedic term for toxins are the impurities that does not allow the body to function in a normal manner. Curative therapies like Elakizhi, Kadhikizhi, Pizhichil, Navakriya, Shirodhara and Abhyangam are conducted to rejuvenate and detoxify the body from within. The Healing Village also strives to bring a balance in the body with the help of Yoga and Meditation. The stay gives a wonderful experience with the best of Ayurvedic Cuisines being served for breakfast, lunch and dinner-all hand-picked from their organic garden. This stay gives you a complete holistic healing experience with the true essence of Ayurveda. 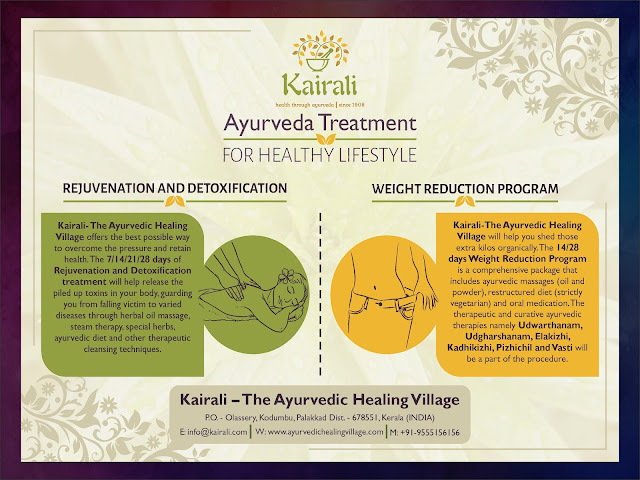 Another Ayurvedic treatment provided by Kairali is the weight loss therapy which helps to fight obesity in the most natural way. 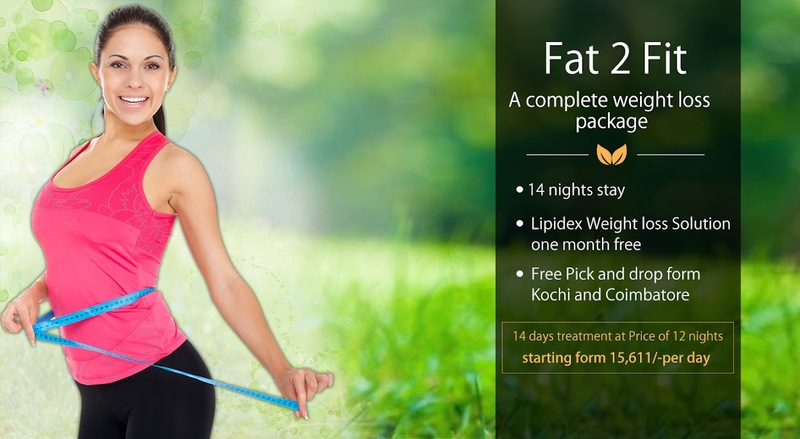 This 14/28 days Weight Reduction Program is a comprehensive package that includes Ayurvedic oils and powders, a strict vegetarian diet and oral medicines. Ayurvedic therapies like Udwarthanam, Udgharshanam, Elakizhi, Kadhikizhi, Pizhichil and Vasti would be conducted to recover from the health issue. 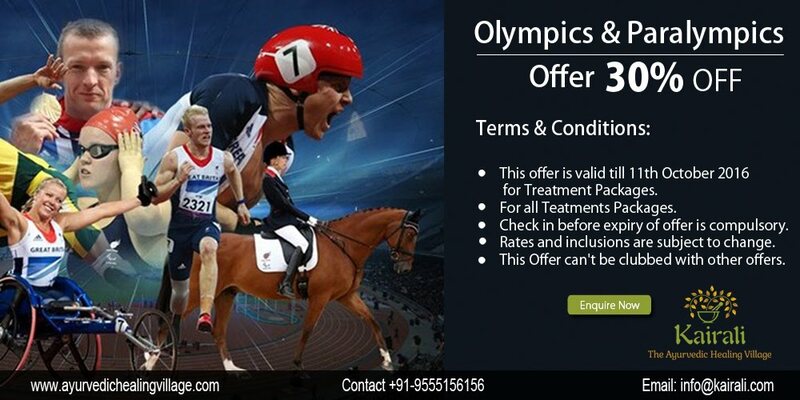 The expert therapists and the Ayurvedic doctor analyses the type of body and accordingly therapies are given. Kairali-The Ayurvedic Healing Village not only lets your body heal but it prepares the body to return back to the regular cacophonous lifestyle and maintain an Ayurvedic way of life.